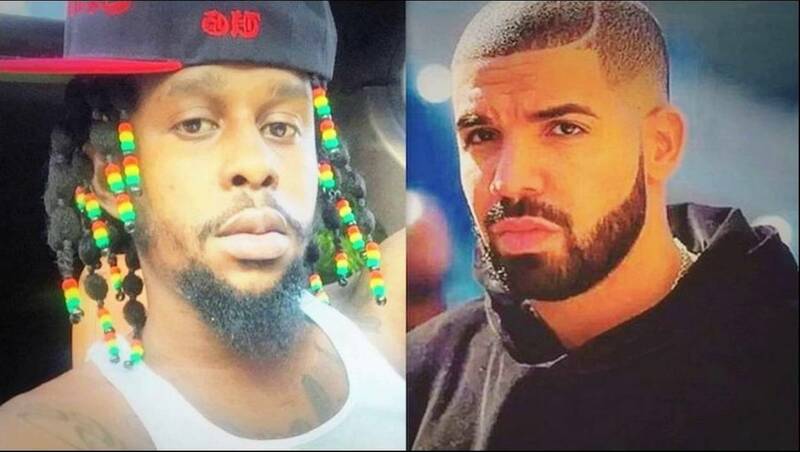 Popcaan and Beenie Man are beefing again and Drake is defending his chargie. In case you have been in the dark, last weekend a video went viral on social media of Beenie Man grossly disrespecting Popcaan and his mother. The Unruly Boss and his fans have been responding to the dancehall legend accusing him of being “badmind.” Dancehall fans have been hammering Beenie since the video was posted all over the net earlier this week. 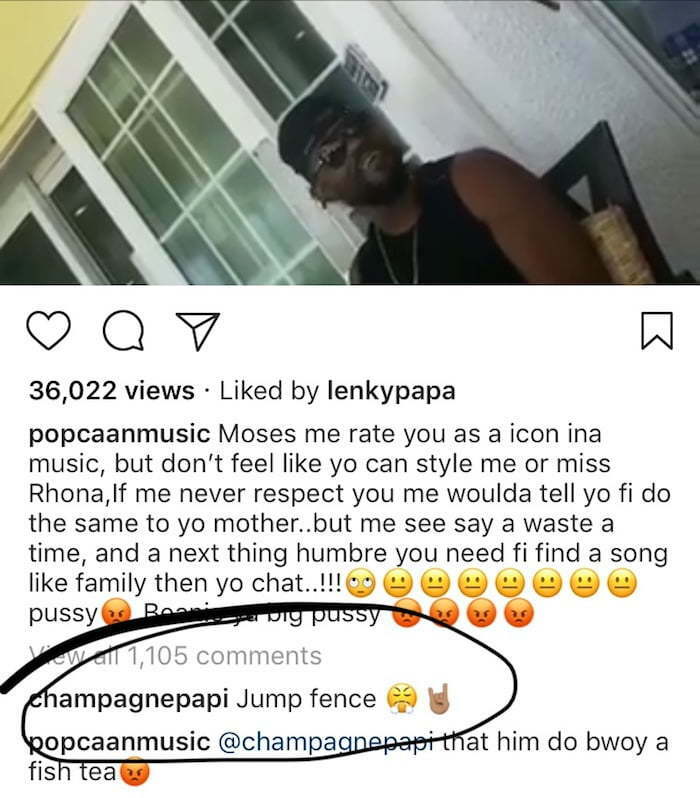 Drake commented on the post that Popcaan made supporting his comrade. “Jump fence,” the Toronto rapper wrote. Drizzy and the Unruly Boss have been friends for years, but interestingly the two still don’t have a collaboration despite Drake collaborating with Beenie Man on his 2016 album Views. Based on the response Drake gave to the feud, don’t expect any more collaboration with Beenie Man in the near future and certainly, there won’t be any collaboration between Beenie and Popcaan. The Doc also released a video apologizing to Popcaan while coughing up an explanation about what went down saying that it was someone else he was trying to diss but used a lyric from one of the deejay’s songs to reference his point. Nevertheless, this doesn’t reflect well on Beenie’s part especially since other dancehall stars were in his presence including Shenseea and Christopher Martin. 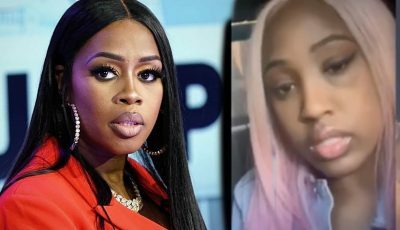 Most fans seems to see it as a straight up diss not only towards Popcaan, but also his mother Ms. Rhona.